It was a hot cloudless day for Stefanie and Joe’s outdoor wedding. Friends and Family sat in anticipation under a blazing summer sun as Stefanie walked down the aisle to meet Joe, the love of her life, on one of the biggest and best days of their lives. As Stefanie made her way toward Joe, a smile grew on both their faces, and you knew by the way their faces lit up at the sight of one another that they were always meant to be. Stefanie started her day surrounded by her best girls and Bear, her Pomeranian. Stefanie’s bridesmaids wore long, strapless, mauve-hued gowns from Davids Bridal accented with thin rhinestone belts. Stefanie chose an elegant a-line gown with a delicate lace overlay from Bridal Couture and finished off her outfit with flats from Aldo. Joe, alongside his groomsmen and friends, prepared for the big day over laughs, jokes, and celebratory glasses of scotch. Joe’s groomsmen wore gray suits from RW&CO accented with maroon ties, and Joe donned a sharp black 3-piece suit from Hugo Boss pulled together with a maroon tie like his guys. 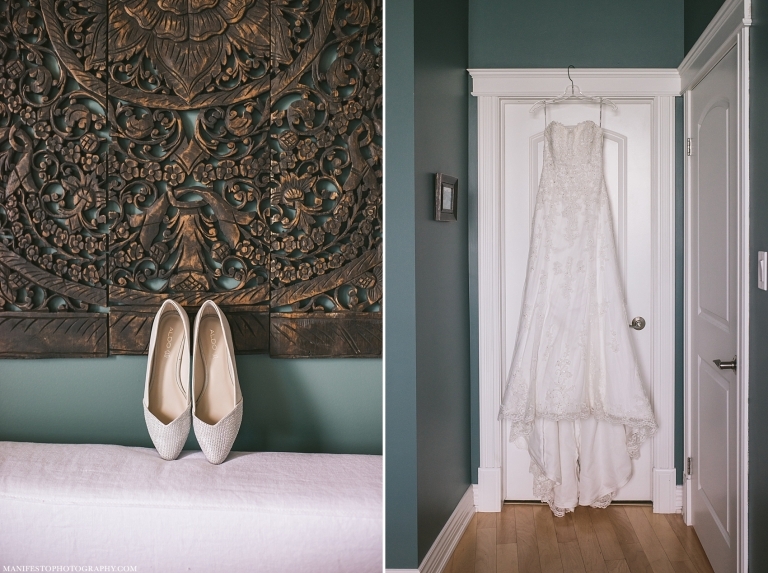 Once everyone was dressed and ready to go, Stefanie and Joe stole away from the upcoming commotion for an intimate first look before the ceremony. Tears formed in both their eyes as they saw their best friend in front of them, beautiful inside and out, ready to take the first step into marriage by their side. The ceremony was held at the Canadian Club Brand Centre (Hiram Walker’s); Joe and Stefanie said I do surrounded by an admiring group of guests. The excitement of the day continued into the reception at The Windsor Club where speeches were said, great conversation was held, and dancing and celebrations continued well into the night. Stefanie and Joe, congratulations again on your wonderful marriage! You guys are so perfect for one another and we were so lucky to have the privilege to photograph your wedding and witness your love for each other throughout the day. We wish you both the best and are excited for your bright future together! “We just wanted to send you a quick Thank You! 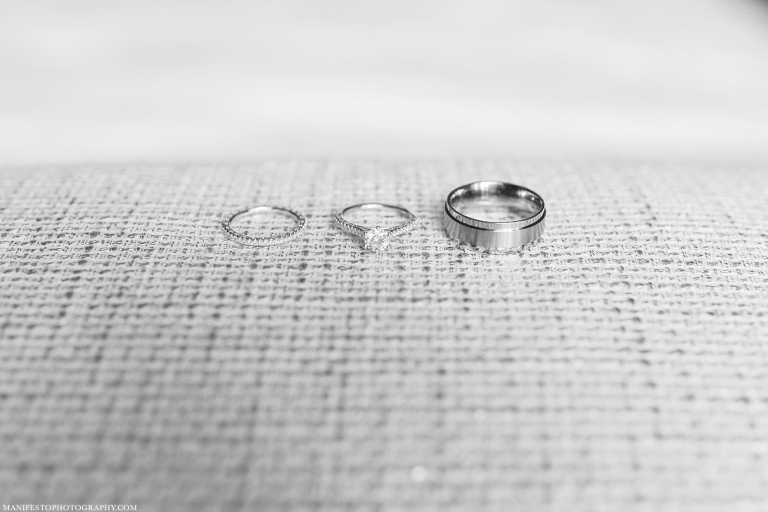 As you know, within 5 minutes of our engagement, we decided that you would be the photographers for our wedding (to ensure this, we even picked a wedding date that would coincide with your schedule – and we’re so glad that we did). We were aware of the amazing work that you do but it was not until we began working with you that we realized how much of a privilege it was to have you as our photographers. From our first meeting with you to our wedding day, you were a pleasure to work with. You went out of your way to try honestly get to know us and provide a personalized and tailored service. Each interaction with you was always pleasant, upbeat and professional. You were always organized and punctual and it was a huge relief to know that you had everything taken care of. We also loved your advice, openness and “Tips & Tricks” on our big day. During the entire process you never made it seem like you were working for us. Instead, it was as if you were our longtime friends sharing our experiences. This allowed us to feel much more comfortable and made every step of a difficult process feel easy. On our wedding day you worked tirelessly to capture every special moment and take pictures that only skilled photographers like you would know to take.